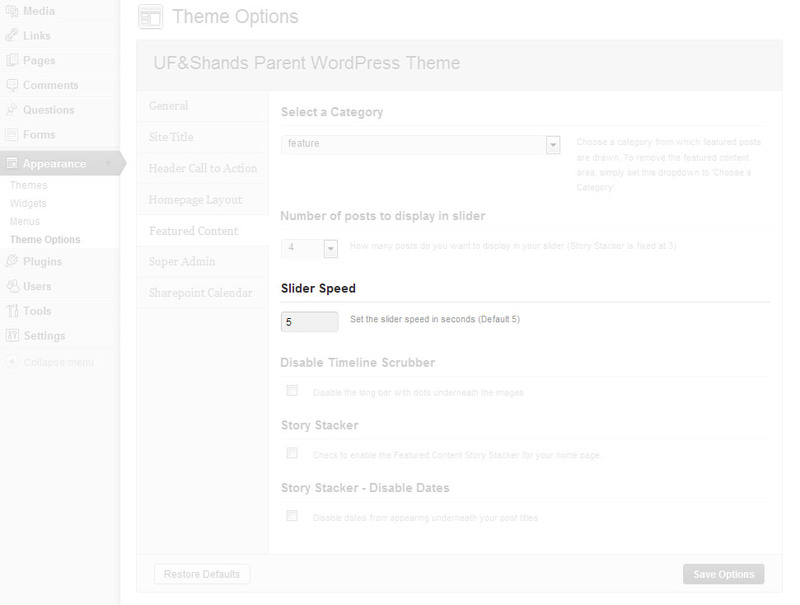 Not satisfied with the speed of the featured content slider on your home page? Too slow? Too fast? Now you can customize it. This feature now affects either the slider or the story stacker. There you will find a field titled ‘Slider Speed‘. Change the value and experiment with the results! If you enter a higher number the slider or story stacker will move slower. Want it faster? Enter a number lower than the default of 5. This feature was in high-demand, so thanks for the feedback that led to it!